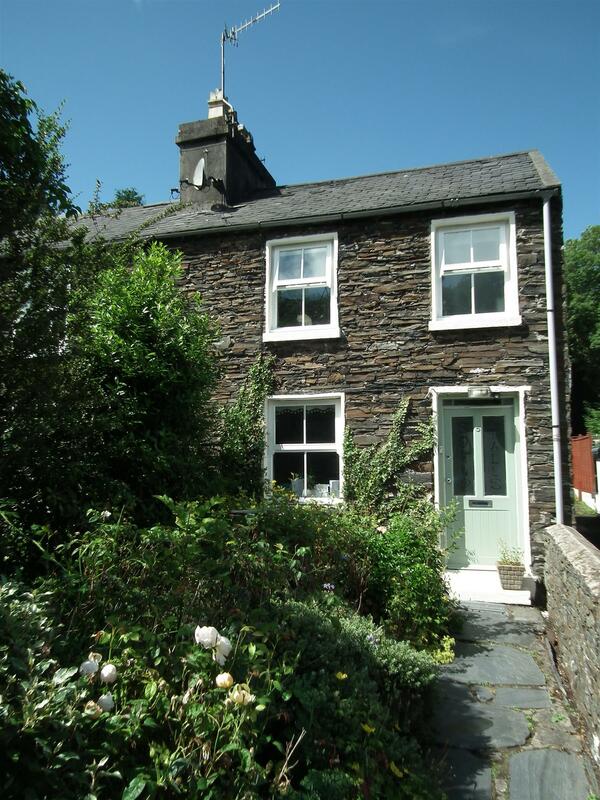 A Charming and Beautifully Presented Manx Stone Cottage. Many Traditional Features with a Modern Twist. Lounge with a Pleasant Outlook Over the Front Garden. Bespoke Kitchen Overlooking & Leading to a Pretty Rear Garden. 2 Bedrooms and Modern Shower Room. Gas Fired Central Heating & Substantial Double Glazing. Enclosed Lawned Cottage Garden with Fabulous Summer House. Pretty, Walled Rose Garden to Front. On Bus Route, Easy All Island Access Including the Airport. Travel towards St Johns from Douglas, turn left at Ballacraine traffic lights and continue towards Foxdale on the Main Road and into Lower Foxdale where the property will be observed on the right hand side, clearly identified by our For Sale board. A beautifully presented Manx stone cottage with a fabulous enclosed rear garden and summerhouse - perfect as an outside dining room when entertaining. The property is on the main bus route and is centrally located for easy access to all areas of the Island. Viewings come highly recommended in order to truly appreciate the character and charm the property holds. Half glazed timber entrance door to entrance area with staircase leading off to the first floor. Contemporary vertical radiator with designer style fitted mirror. Meter cupboard and night light. A beautifully presented room with a recessed 'wood burning stove' set on a slate hearth. Recessed bookshelves to both sides plus additional shelving. Timber framed, double glazed window to the front enjoying a pleasant outlook over the mature garden. Beamed ceiling and attractive light fitting. Understairs cupboard. Television point. Fitted with a range of ivory coloured wall and base units together with granite effect work surfaces incorporating a stainless steel sink with mixer taps. Slot in cooker with four ring halogen hob. Integrated fridge. Extensive shelving to one side. Wall mounted, glazed display unit. Breakfast bar. Concealed 'Saunier Duval' gas fired combi boiler. Ceiling spotlight fitting. Half glazed timber door to rear patio. Timber framed, double glazed window with deep sill providing a pleasant garden view. Space and plumbing for washing machine. Attractive stripped and varnished floorboards which continue throughout the first floor. 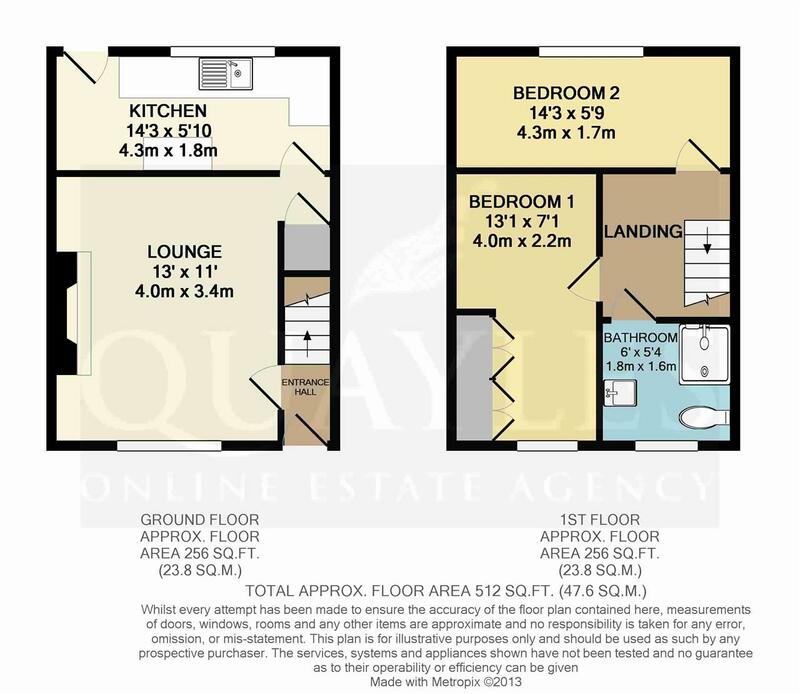 A double room located at the front of the property and having two bespoke fitted wardrobes and triple shelving. Timber framed, double glazed window with deep sill to front elevation. Attractive light fitting. Exposed floorboards. Half tiled walls to complement a white suite of corner enclosure with thermostatically controlled shower, WC and pedestal wash basin. Timber framed window with obscure glazing and deep sill to front elevation. Space for a 4ft bed and freestanding furniture. Double glazed timber framed window enjoying a stunning outlook over the rear garden and having a built out tiled sill which currently provides a perfect dressing table or desk facility. Ceiling spotlight fitting. Having stone wall boundaries and an attractive slate pathway. Planted with an array of shrubs and rose bushes. External light. Generous patio with ample space for table and chairs. Small store and gated access to the side service lane. External light. Summer House. Pedestrian access rights across the side lane to the main road. Mains water, electricity and drainage. Bottled gas.